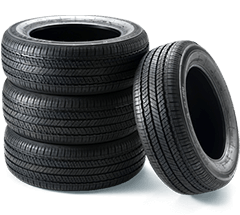 Buy a Package of 4 Wheels & 4 Tires and Get It Ready-to-Install for Free! Another Way to Save With PMCtire! Buy a set of 4 tires and 4 wheels online and get your new package ready-to-install, with your tires mounted on your wheels & the kit properly balanced, for free! 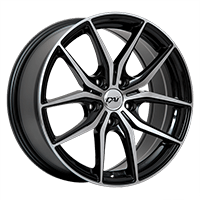 Whether you purchased winter, all-season, summer, high performance or van tires and wheels, PMCtire ensures that your kit will be ready to install on your vehicle. Our professionals will be happy to mount your new tires on your new wheels, using equipment at the cutting edge of technology. Thereafter, your set will be carefully packed, ready to get shipped. All you need to do is install the wheels on your vehicle. You can do it yourself or you can go to a garage to complete this step. In any case, it will cost you less than having everything done in a garage: mounting, balancing and installation. If you choose to buy TPMS (Tire Pressure Monitoring System) sensors in addition to tires and wheels, we will also pre-program and install them on your set. What Happens with the Mounting, Balancing and Installation at a PMCtire Affiliated Installers Shop? If you have those steps made by one of our affiliated installers professional, there will have a charge for the services provided (mounting, balancing, installation or TPMS sensors synchronization), according to their own schedule of rates. But don't worry, their services are just as professional! Obviously, if your order gets there mounted and balanced by us, even if you have it delivered directly to their place or to your own, you will just have to pay for the installation! Visit the Buy & ship to an affiliated installer for more details about this option.